Universal Performance-2X Series 10″ 60W Dual Row Flood Beam LED Light Bar (09-12230-20F) by Westin®. 1 Piece, 20-LED. Black housing, white light. 9-30V. Beam distance: 1425m. 3.4A. Effective lumens: 4200. Aluminum. 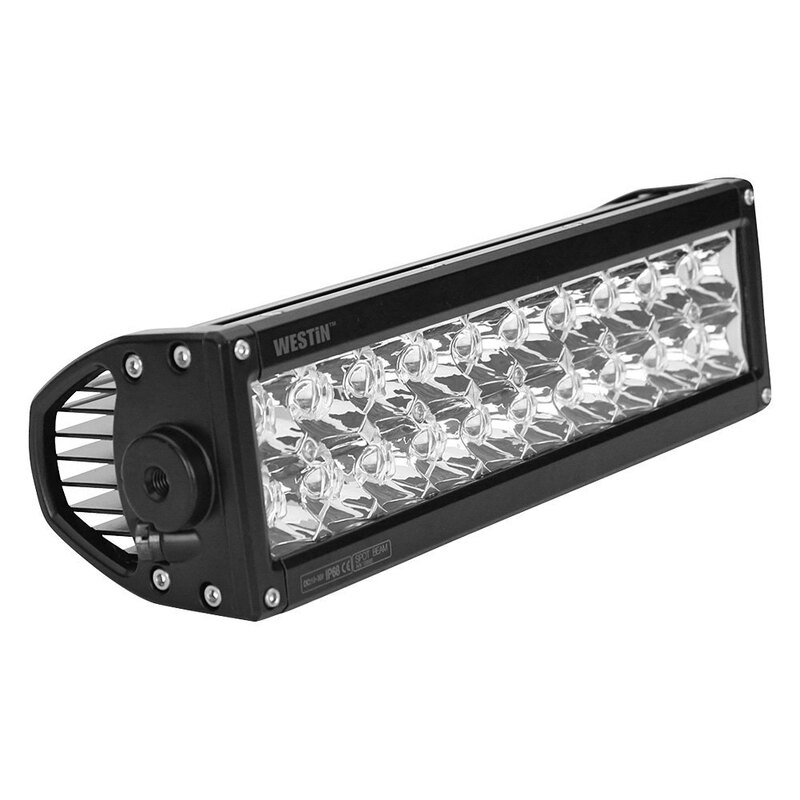 This Westin Performance-2X Series LED Light Bar features extruded aluminum housing with die-cast ends and a dust and moisture-resistant lens. The product is available in a high-quality powder coat finish with a rubber sealed GORE® pressure-equalizing vent.